Insomnia / sleep disorders are one of the most common complaints in in the world. More than 60 million adults suffer from insomnia just in the U.S.
Insomnia is characterized by a difficulty falling asleep and/or staying asleep, waking up often during the night, waking up too early in the morning and feeling tired upon waking. It could take a toll on the ability to function during the day and cause an irritability, depression or anxiety. For patients with sleep disorders it is often difficult to pay attention, to focus on tasks or to remember. Insomnia also could cause tension headaches and due to the reduced attention it could increase errors and accidents. One distinguishes two forms of insomnia: The primary and the secondary Insomnia. Primary Insomnia is sleeplessness that is not directly associated with any other health condition or problem, like medical, psychiatric, or environmental causes. Secondary insomnia is a result of other causes like illness (Depression, Asthma, Arthritis, Cancer), drugs, excessive worrying, pain. Depression is a leading cause of secondary insomnia. Moreover one distinguishes between acute and chronic Insomnia. It varies in how long it lasts and how often it occurs. It can come and go and there might be times when a patient has no sleep problems. To diagnose sleep disorders Polysomnography is a powerful tool. Polysomnography is a comprehensive recording of physiological changes that occur during sleep such as brain waves, oxygen level in the blood, heart rate and breathing rate as well as eye and leg movement. It is used to diagnose or rule out many types of sleep disorders, including Narcolepsy, Restless legs movements, REM behavior, Parasomnias and sleep apnea. This procedure is often requested or ordered for patients with frequent complaints of excessive daytime fatigue and severe sleepiness that may be caused by interrupted sleep. Today we have very effective tools to treat insomnia / sleeping disorders. Chronic Insomnia treatment requires comprehensive diagnosis and treatment of any underlying conditions or health problems that are causing the insomnia. 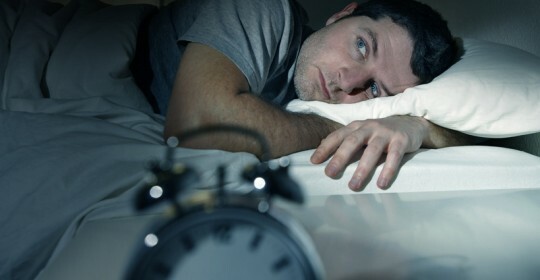 If Insomnia continues there are psychological and behavioral techniques that can be helpful for treating the sleep disorder. Relaxation training, stimulus control, sleep restriction, and cognitive behavioral therapy are some examples. Insomnia could also be treaten? by medication. However, it is very important to consult with a doctor before taking sleeping pills. Determining which medication may be right for you depends on your insomnia symptoms and many different health factors.